A guide to the design, construction and operation of water supply systems. It places emphasis on environmental aspects of water supply, in particular the critical issue of wastage reduction and conservation of supplies. It includes details of US, European and WHO standards and practice. Water Supply has been the most comprehensive guide to the design, construction and operation of water supply systems for more than 40 years. The combined experience of its authors make it an unparalleled resource for professionals and students alike. This new sixth edition has been fully updated to reflect the latest WHO, European, UK and US standards, including the European Water Framework Directive. The structure of the book has been changed to give increased emphasis to environmental aspects of water supply, in particular the critical issue of waste reduction and conservation of supplies. 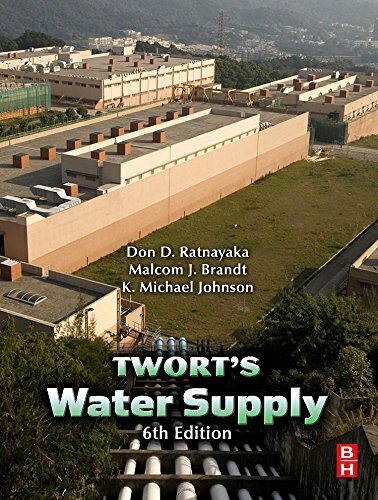 Written for both the professionals and students, this book is essential reading for anyone working in water engineering.